Persistent health inequities, rooted in colonialism, continue to impact Indigenous1 peoples in Canada. The trend is no different for cancer, which has emerged as a leading cause of death among Indigenous peoples. Although cancer screening is widely recognised as an effective way of finding certain cancers early, many barriers to participation in cancer screening exist. Cancer Care Ontario is developing relationships and partnerships with First Nations, Inuit and Métis communities throughout Ontario to address cancer issues and develop diverse, collaborative solutions to promote healing and health. 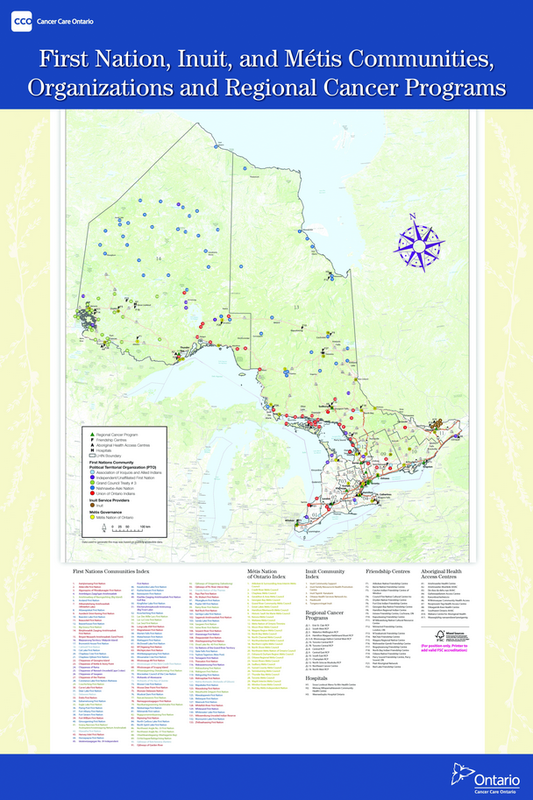 As documented in detail in the 1994 Royal Commission on Aboriginal Peoples and the 2015 Truth and Reconciliation Commission (TRC) reports, Canada’s history is defined by the colonisation of Indigenous lands and peoples. Although the processes and experiences vary among First Nations, Inuit and Métis (FNIM) peoples, Canadian Indigenous policy has sought to remove Indigenous peoples from their traditional territories and to destroy Indigenous ways of knowing and being, systems of governance, and cultures. This oppressive history, in addition to contemporary injustices, shape the health and wellbeing of FNIM peoples today. However, FNIM peoples have shown and continue to show great strength and resilience in the face of these enduring oppressive forces. The TRC, which was established and completed as a result of the courage and determination of Indigenous peoples who suffered immensely as a result of Canada’s residential school system, proposed 94 Calls to Action that set a clear and actionable path towards reconciliation. Eliminating the egregious health inequities between Indigenous peoples and other Canadians is an important part of reconciliation; seven of the TRC’s Calls to Action focus directly on health. 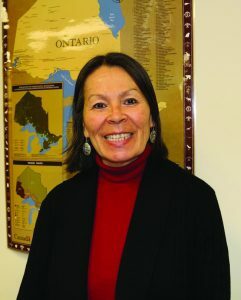 Consistent with a health equity and reconciliation-focused approach, Cancer Care Ontario (CCO), under the leadership of Alethea Kewayosh, the Director of CCO’s Indigenous Cancer Control Unit, has been working over the past decade to shift its approach and engage with FNIM leadership and communities in a respectful and community-driven manner. To that end, a series successive ‘Aboriginal Cancer Strategy’ policy documents have been developed in partnership with FNIM leadership and healthcare stakeholders throughout the province. These strategies set the path for the work that CCO, regional cancer programs and FNIM communities and leadership conduct together, in order to improve the cancer system functioning for FNIM peoples in Ontario. In line with this guiding strategy, CCO has partnered with Sunnybrook Research Institute (SRI) on a research project focused on improving participation in Ontario’s organised cancer screening programs (breast, colorectal and cervical) among FNIM peoples. Dr Jill Tinmouth of SRI, Alethea Kewayosh of CCO, and Dr Naana Jumah of the Northern Ontario School of Medicine are leading aspects of this health research program, which is conducted in partnership with First Nations and Métis communities. In order to improve cancer screening participation, the research team is approaching the issue from multiple angles – policy analysis, community-based analysis of cancer screening experience, and an evaluation of previously conducted regional screening interventions. With this data, the team aims to develop a comprehensive knowledge translation action plan to address barriers and improve cancer screening participation in Indigenous communities. One of the initial aims of the research team was to clarify the health policy factors that impact access to and participation in cancer screening in Ontario First Nations communities. To accomplish this, the team conducted a comprehensive analysis of health policy documents that inform cancer screening participation. Building on this analysis, the team also conducted 44 in-depth key informant interviews with policy stakeholders at community, regional, provincial and federal levels. In an effort to ensure that the team gained a comprehensive understanding of the health policy implications, interviews were conducted with those who develop and implement policy, as well as those who experience the effects of these policies first hand. The policy document review and in-depth interviews identified a complex cancer screening system shaped by health policies that frequently fail to clearly specify who is responsible for providing and supporting cancer screening in Ontario First Nations communities. Interviewees at all levels expressed this reality, making it difficult to pinpoint specific policies to target for change. The team’s analysis also revealed that policies that inform cancer screening among First Nations communities were seldom developed or evaluated with input or feedback from the communities; as a result, they were not always in tune with community realities. To explore community perspectives on and experiences with cancer screening, the research team partnered with Wequedong Lodge of Thunder Bay and the Métis Nation of Ontario (MNO) to conduct two distinct community-based participatory research projects. The Wequedong Lodge Cancer Screening Research Project focused on better understanding the barriers and facilitators to cancer screening participation among First Nations community members in Northwestern Ontario, where there are many communities in rural and remote areas. The project consisted of an equal partnership between Wequedong Lodge, CCO and SRI, and was led by a Wequedong Lodge community advisory group that guided all aspects of the work. In order to get a full understanding of the complexity of cancer screening on the ground, the research team conducted in-depth interviews with 29 First Nations community members from 19 different communities, nine community health workers from six different communities, and ten doctors and nurses who served Northwestern Ontario First Nations communities. The community-based analysis showed that a lack of culturally relevant screening education resources was a barrier to community members engaging with cancer screening. Persistent negative experiences with healthcare providers and the healthcare system, including discrimination and poor communication, meant that community members were often distrustful and reluctant to participate in cancer screening. The intimate nature of screening tests for breast, cervix and colorectal cancers compounded these challenges. High healthcare provider turnover in communities and a lack of integration among different health service provider organisations in the region made it difficult for healthcare providers to track screening participation and to effectively support community members with cancer screening. Limited access to cancer screening services in communities and the difficulty associated with travel to larger health centres also served as important barriers. A few of the key screening supports that were identified included: working towards a regionally coordinated screening effort; developing screening education and guidance resources that reflect the lived realities of Northwestern Ontario First Nations community members; and improving cultural competency among healthcare providers. In the Métis Cancer Screening Research Project, the research team partnered with the MNO to identify barriers and facilitators to cancer screening uptake and improve access to culturally relevant cancer screening services for Métis citizens in Ontario. 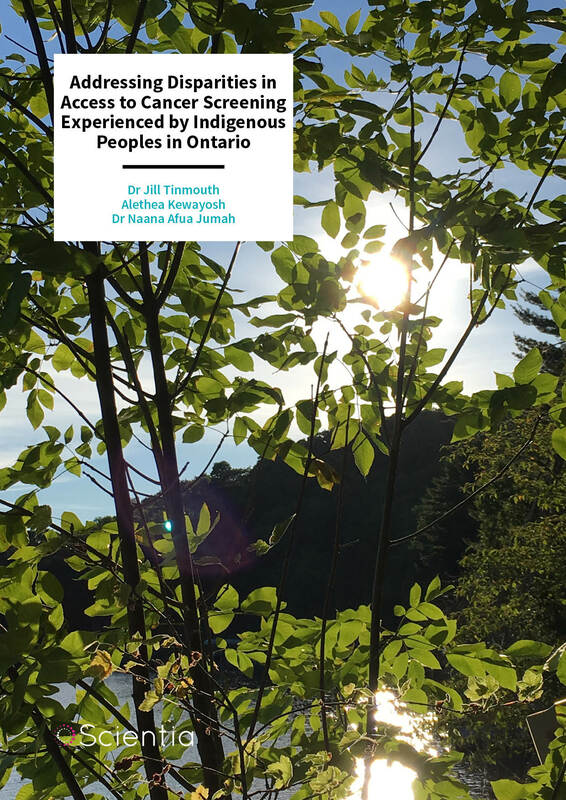 This project built on the MNO’s program of participatory research, was based on an equal partnership with MNO, and was guided by an integrated MNO-CCO-SRI working group. The study combined focus group and survey methods to capture the perspectives of Métis peoples throughout Ontario. Participants included 66 Métis community members and MNO frontline staff. 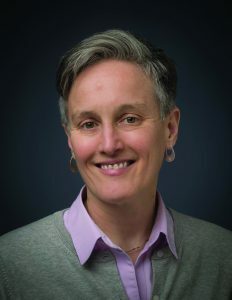 The community-based analysis showed that participation in cancer screening among Métis community members was impeded by limited Métis-specific resources and supports; widespread lack of cultural competency among healthcare providers; limited access to screening services; and challenges with long-distance travel to access services. Among the key supports identified were: culturally specific information and programming; assistance with transportation; increasing provision of local screening services; Métis cultural training for healthcare providers; and integrated screening services. This research identified key service gaps and culture-based strategies for improving cancer screening services among Métis community members in Ontario. Another one of the team’s goals was to evaluate a large cancer screening initiative that CCO undertook in partnership with several Ontario health regions from 2011–2014, in an effort to learn from pre-exiting projects and inform the direction of future work. Through the ‘Under/Never Screened’ (UNS) initiatives, health regions worked with community partners to develop and evaluate community-specific interventions to engage persons who had never participated or were not up-to-date with cancer screening. In four regions, the focus was on FNIM populations. Among the central learnings from the team’s evaluation of the regional UNS projects that focussed on FNIM populations were: the importance of building a long ‘run time’ for the development of community partnerships and formalising these essential partnerships; using multiple approaches to targeting and engaging UNS populations; and developing a rigorous evaluation plan at the outset of the initiative to facilitate a cohesive evaluation across regions. Based on the findings from these projects, the research team and partners are already focusing on developing more culturally appropriate educational resources about cancer screening, supporting engagement of physicians in cultural competency training, and finding ways to simplify patient access to screening. While more work is still needed, these research findings should help CCO refine their cancer screening programs to help them save more lives. ‘Our work is to ensure there is equitable understanding of and access not only to cancer services, but also, very importantly, to prevention and cancer screening services,’ says Kewayosh. 1 The term Indigenous refers to the original First Nations, Inuit and Métis (FNIM) inhabitants of Canada and is used throughout the document interchangeably with FNIM. The term Aboriginal is used when the document or program being referred to has used that term instead of Indigenous. Dr Jill Tinmouth graduated from Yale University with a BA in History of Art in 1988 before earning her MD from New York University School of Medicine in 1995. After completing multiple residencies, she returned to academia to pursue a PhD in Clinical Epidemiology & Health Care Research at the University of Toronto, graduating in 2004. 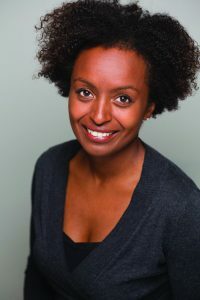 She currently serves as the Associate Director of Health Policy, Management, and Evaluation in the Clinical Epidemiology Program at the University of Toronto and Scientist at Sunnybrook Health Sciences Centre. Her research focuses on gastrointestinal cancer screening, gastrointestinal health, and on improving access to cancer screening in indigenous populations. Alethea Kewayosh has been an advocate for improving health services for Aboriginal peoples for over 30 years. Growing up in the Walpole Island First Nation community, she has personal appreciation for the diversity of Aboriginal Canadians and advocates for open dialogue and cultural understanding in the development of health programs for indigenous populations. Her distinguished career has led to the creation of the National Aboriginal Diabetes Association and the launch of Aboriginal Cancer Strategies – programs that recognise the unique needs of Aboriginal groups via direct engagement with communities. She currently serves as the Director of Indigenous Cancer Control for Cancer Care Ontario, where she works to increase access to cancer screening services in disadvantaged communities. Dr Naana Jumah began her academic career with a BASc in Chemical Engineering from the University of Toronto, and continued on to earn her PhD in Medical Engineering from the University of Oxford as a Rhodes Scholar. She was ultimately awarded her MD from Harvard University, after which she returned to the University of Toronto to complete her residency in Obstetrics and Gynaecology. She currently serves as an Assistant Professor at the Northern Ontario School of Medicine, as well as serving as the Northwestern Ontario Lead for Colposcopy and Cervical Screening for Cancer Care Ontario.